Brake and Accelerator Levers :: Go-kart powered by a lawnmower engine! 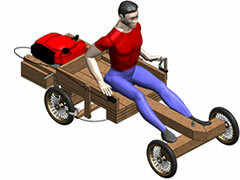 Below is the second last drawing for this lawnmower powered wooden go-kart. As can be seen in this Drawing, the handlebars off a bicycle are used. The ends of a bicycle handlebar are used to provide hand levers for the brakes and throttle on this kart. This makes things very easy as the levers will have provision to operate a cable. The complete throttle control off a lawnmower engine can be used for the throttle/gas on the go-kart. 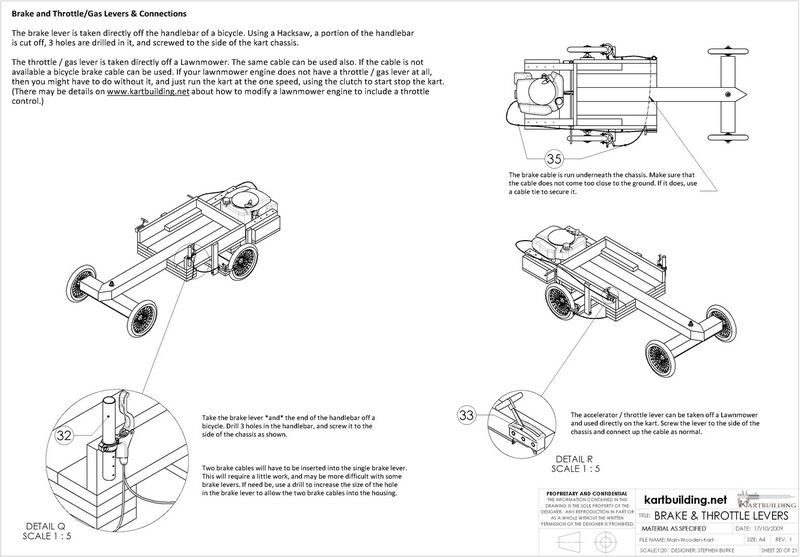 Some lawnmower engines do not have a throttle control. Some lawnmower engines do. 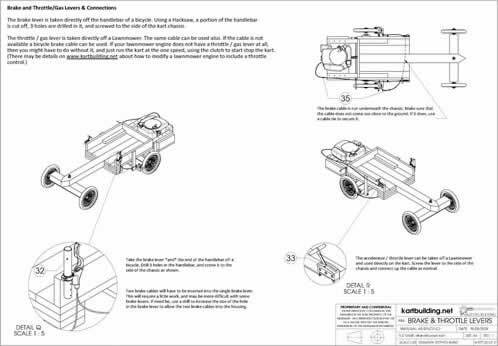 Most lawnmower engines which do not have a throttle lever/cable can be adjusted and modified to accept a cable which will speed up/down the engine. This usually involves taking the air-filter off the engine, looking at the carburetor, looking for a spring and attaching a cable to this spring to pull it forward/back to speed up/down the engine.